Members and guests will be admitted free of charge, but pre-registration is mandatory. The panel will discuss how the financial system in the UK, and globally, can contribute to achieve social returns. The speakers have extensive experience and track records in raising and deploying capital for the benefit of society and for the well being of communities as a whole. They represent different disciplines within social finance: social entrepreneurship, venture philanthropy, and impact investing. RBS has a strong heritage in social finance - its independent charity, RBS Social & Community Capital, was established over 15 years ago. Through its flagship Community Business Loan, RBS makes loans from £30k to £750k available to social enterprises who might have otherwise been shut out of the mainstream lending market. RBS Inspiring Enterprise has funded over 4,500 social enterprises since January 2013. A networking event with drinks and canapés will follow the seminar, offered by the sponsor. We invite all Yale alumni and their guests to participate, together with alumni of the Global Network for Advanced Management member schools. Attendance is free of charge, but registration is mandatory. 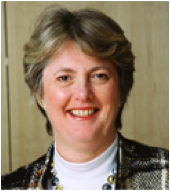 Anne is Chief Executive and Co-founder of Amadeus Capital Partners Limited since 1997. Early in her career Anne worked in strategy consulting with Bain & Co. in Boston, before returning to the UK to join Apax Partners & Co in 1989 to invest in early stage companies. Anne serves on the boards of Glysure and Nomad plc. She is currently a member of the European Commission’s Research, Innovation, and Science Policy Expert (RISE) High-Level Group, the UK Government’s Council for Science and Technology, and the London Business School’s Private Equity Institute Advisory Board. Anne was Chairman of the European Private Equity and Venture Capital Association (EVCA) from 2014-2015, Chairman of the British Private Equity and Venture Capital Association (BVCA) from 2004-2005, and a non-executive director of the UK Technology Strategy Board from 2005-2012. Anne holds an MA in Metallurgy & Materials Science from Clare College, Cambridge, and a Masters in Public and Private Management from Yale School of Management. In 2006 she was awarded a CBE for services to business, and in 2008 was elected an honorary fellow of the Royal Academy of Engineering. 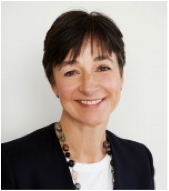 Before joining Esmée, Caroline was Chief Operating Officer at Big Society Capital and preceding that, Charity Bank. Caroline was also the co-founder of Investing for Good, a social investment advisory firm and one of the first Community Interest Companies. Before joining the social sector, Caroline had an eighteen-year track record of creative and innovative product development in the financial services sector. With Reuters, she managed the global development of real-time news and television services and then pioneered the introduction of web technology products. 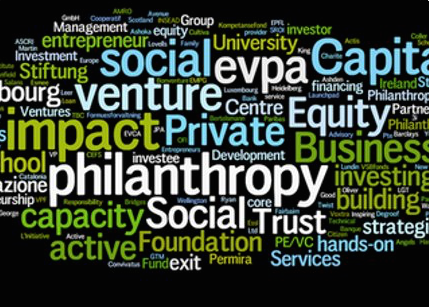 Caroline is a Board Member of Social Enterprise UK, Ethex, and of EVPA (European Venture Philanthropy Association). 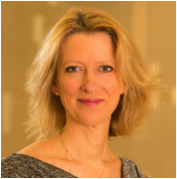 She is also a trustee of SafeLives, Impetus-PEF, and is on the advisory board of Big Society Capital. Michele has over 25 years of impact investment and international development experience. Prior to co-founding Bridges Ventures in 2002, Michele was an Investment Officer with International Finance Corporation, the private sector financing arm of the World Bank Group in Eastern Europe in the early 1990’s, then spent 8 years with Shorebank Corporation, which was one of the leading community development banks in the USA. Michele has a BA Honours in Politics, Philosophy & Economics from Oxford University and an MBA from Georgetown University, Washington, DC. Michele is a Non-Executive Director at CDC, the UK’s Development Finance Institution which supports the building of businesses throughout Africa and South Asia, and was an adviser to the Social Investment Task Force and Chair of the Community Development Finance Association (cdfa) 2003-2005. Kieron Boyle is Head of Social Investment at the Cabinet Office, where he leads the UK government’s efforts to grow the social investment market. Kieron has worked across UK government, including as Head of Delivery at the Department for Business, Head of Policy at the Foreign and Commonwealth Office and as a Senior Policy Adviser at the Prime Minister’s Strategy Unit. He is the UK representative to the G8 Social Impact Investment Taskforce, and the European Commission expert group on social business. 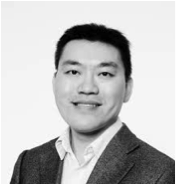 Prior to joining public service, Kieron worked as a strategy consultant with the Boston Consulting Group in both London and New York. He has an M.Phil in International Relations and an undergraduate degree in Social and Political Sciences, both from Cambridge University. Outside of work, Kieron consults, pro-bono, for a range of international not-for-profit organisations, sits on the Chatham House U35 steering group, and is a Trustee of one of the UK’s leading charities. 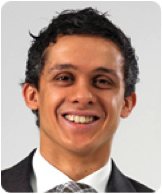 In 2014 he was elected as a Young Global Leader by the World Economic Forum.